Apple Butter makes a great topping for breads, pancakes or french toast. You can add it to oatmeal to sweeten it. It is also very good on pork chops. 1. Core, peel and slice the apples. The slices should be about 1/8" thick. Place the apple slices in the crock pot and add all of the dry ingredients. 2. Cook on low for 9-10 hours, stirring periodically. Add the vanilla and orange extract. Leave the lid off and cook for another 1-2 hours. The apple butter should be become a dark brown. 3. Use an immersion blender to puree the apples to a smooth texture. It's ok to have some lumps in the apple butter, just nothing big enough to make spreading it on bread difficult. 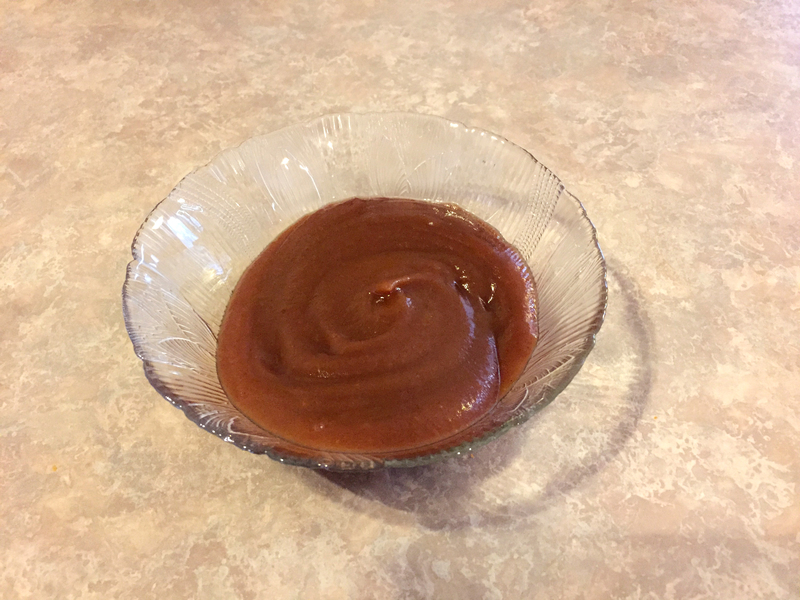 Apple Butter is one of my favorite things to top bread, pancakes or waffles. It’s sweet, rich and just thick enough to spread perfectly. It takes some time to make, but it’s perfect for cooking on a weekend while doing other things around the house. Of course, your house will smell amazing while you’re cooking this up. This recipe will make about 10 cups. This will keep well in the fridge for about 3 weeks. You can also put it in freezer safe containers and it will last a lot longer. Another things we love to do with our apple butter is to give it out as a Christmas gift to neighbors and friends. People always love it!